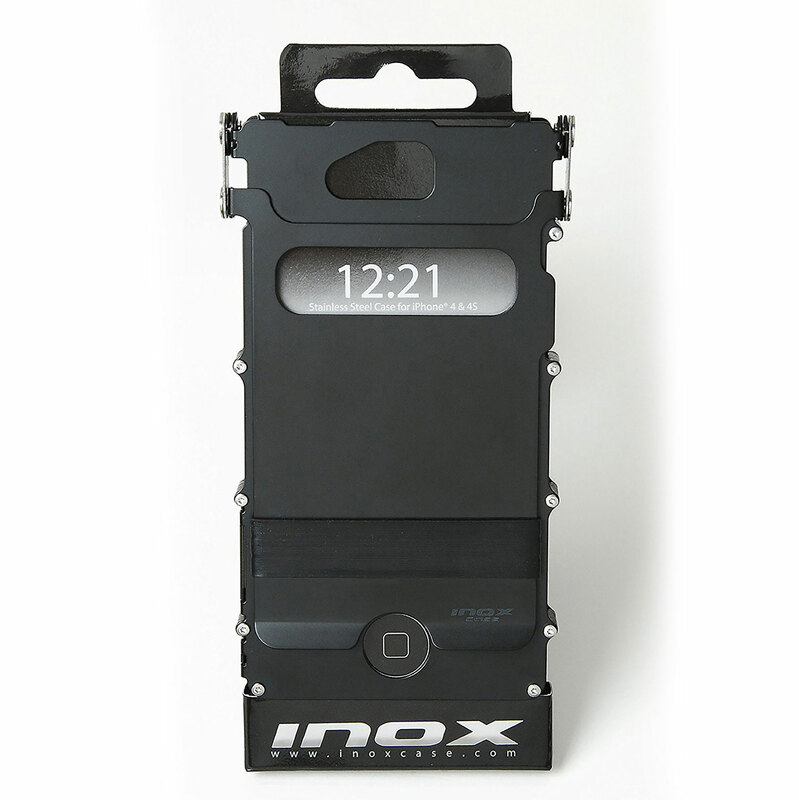 This ultra-thin and functionally stylish iNoxCase cell phone accessory is your extra insurance for flops and drops.The iNoxCase features a 304 stainless steel exoskeleton. The iNoxCase 180 degree rotating visor lid protects the front display and allows views of the time and incoming calls with the precision cut opening. Flip the visor lid to access all your phones buttons and apps. The elastic band on the flip lid neatly accommodates cash and credit cards. With the flip lid at a 90 degree tilt your iNoxCase becomes a personal movie viewer phone to prop up on a table.With steel covering the iPhone 4/4S aluminosilicate display, you can toss your phone in your travel bag without worrying about breaking the glass. Glasgows stylish open build design allows access to all the ports and buttons on the iPhone 4/4S with the lid open or closed. The case features an ultra-thin profile that adds minimal thickness or weight to the phone.